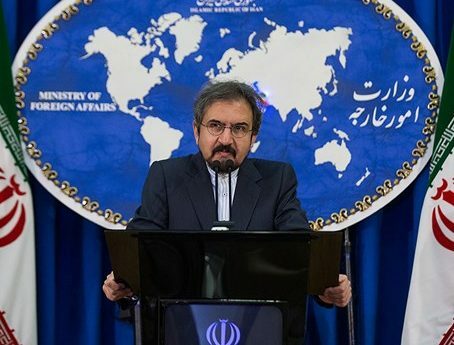 Iran’s Foreign Ministry Spokesman Bahram Qassemi says Tehran clearly and totally supports the United Nations’ mission to pursue a political solution to the ongoing crisis in Yemen. Qassemi made the remarks in response to ISNA’s question about the claims made by some foreign media that Iran has offered to send a delegation to participate in the Yemeni negotiations in Stockholm. “The Stockholm consultations are of a Yemeni-Yemeni nature. Since the beginning of the Yemen crisis, the Islamic Republic of Iran has stressed the need for intra-Yemeni talks free from any foreign intervention,” he said, stressing that Iran’s call for talks among Yemenis was particularly mentioned in the third part of the Iranian foreign minister’s four-point plan to end the crisis. “Tehran has consistently expressed its full support for the UN’s mission to find an appropriate political solution as the only way to resolve the crisis,” Qassemi noted. “Iran adopted and maintained the stance at a time when the United States gave the green light for the launch of a devastating and inhumane war on the Yemeni people by adopting a politically ambitious, completely biased, destructive and unbalanced policy,” he said. “Washington, by offering various types of financial, arms and political support for the aggressors, has backed the continuation of one of the biggest humanitarian catastrophes, as acknowledged by international organisations,” he added. “Iran hopes that the Yemeni parties, by adopting an independent and peaceful approach within the framework of national and Yemeni-Yemeni talks, will prevent rapacious and warmongering foreigners from interfering in and obstructing the negotiations in a bid to end the plight and sufferings of the oppressed Yemeni people,” he added. Peace talks between the Yemeni government and Houthi fighters, coordinated by the UN, opened in Sweden on Thursday. At these talks, UN Special Envoy Martin Griffiths expressed hope that serious progress towards peace can be made and that solutions can be found to specific problems that can reduce the suffering. The talks held in Stockholm are expected to last for about a week, depending on the progress of consultations, according to Hanan Eldawadi, the chief public information officer at the UN Office of the Special Envoy of the Secretary-General for Yemen.